Being investigated as possible hate crime. 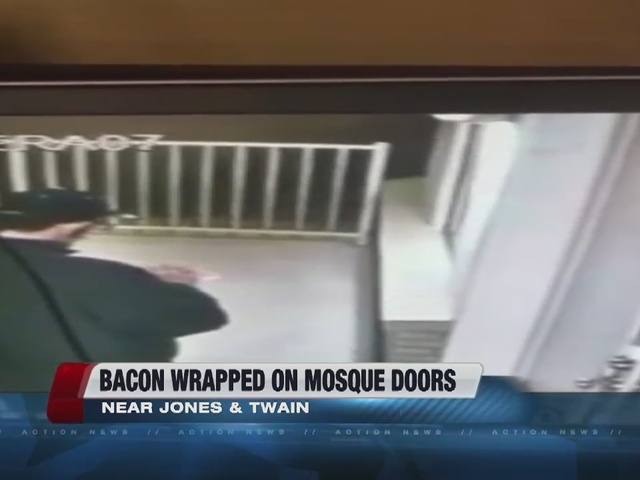 LAS VEGAS - Police say a man wrapped raw bacon on the door of a Las Vegas-area mosque this past weekend. In surveillance video of the incident, a man is seen stringing the raw bacon onto the doors and door handles. 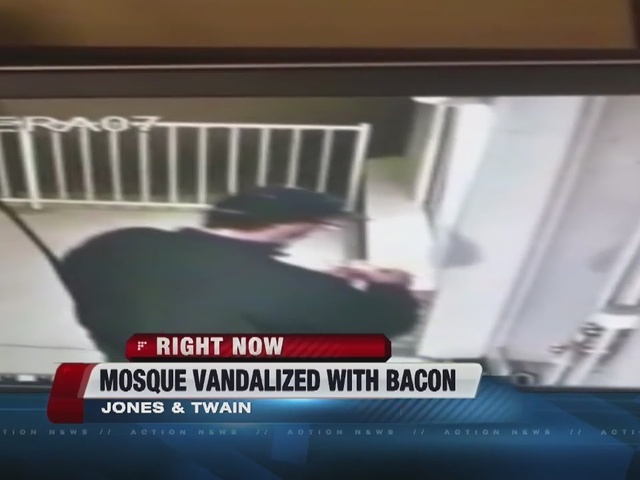 Police are investigating the incident at Masjid Tawheed, the mosque located near Jones Boulevard and Twain Avenue, as a possible hate crime since pork or bacon are forbidden in Islam both to eat and touch. The FBI is now investigating the incident as a possible hate crime. One of the mosque's founding members said fellow members are concerned about the crime and are calling it a "deliberate attack" on their religion. "There are still people out there who love to hate, unfortunately, so this was one of the sad incidents and it's unfortunate," said Rokai Yusufzai.